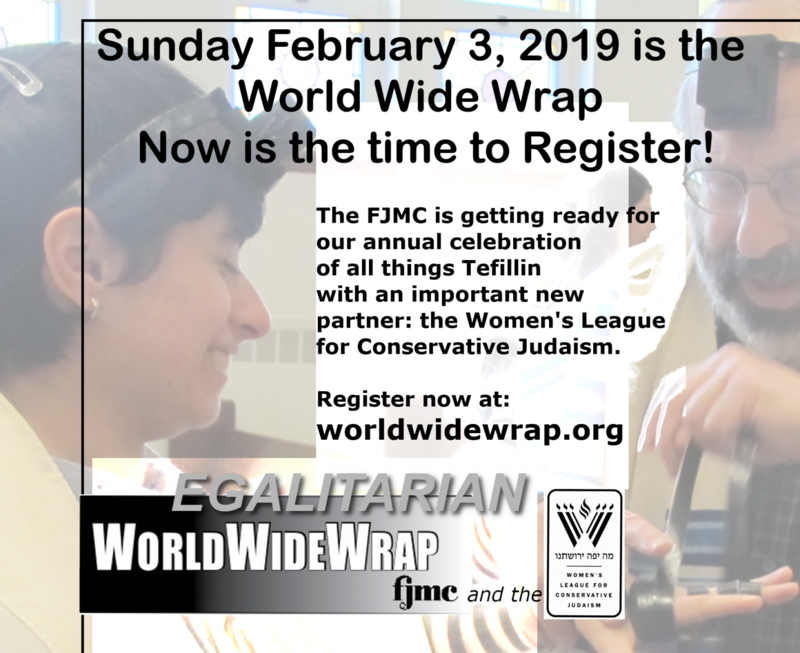 I hope you have enjoyed learning about Tefillin, and that you will join your community’s World Wide Wrap on Sunday, February 3, 2019, or any day but Shabbat and Festivals, to enjoy the mitzvah of donning tefillin. 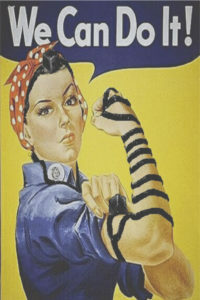 There is so much to know and learn about tefillin. Over the course of these past five weeks, this is just a small amount of the great amount to learn about tefillin, and the many customs and traditions surrounding the mitzvah of tefillin. I am sorry I was not able to discuss so many other topics regarding tefillin, such as the differences in Ashkenazic and Sephardic communities. There is always more to learn! I hope that the mitzvah of tefillin will create a new type of loving relationship with God and all who don tefillin. May we all merit many years of good health and happiness, to grow in our relationship with God, Torah, and Israel. The tefillah shel rosh, the head tefillin, has a three-headed letter shin on one side of the bayit, box, and a four headed shin on the other side of the bayit, thus adding up to seven. The straps, or retuzot, are wrapped seven times around the person’s arm – perhaps for the seven days of the week; maybe because seven is a number of completeness in Judaism. One can count seven by saying each of the days of the week, or the three patriarchs, Abraham, Isaac and Jacob, and then the four matriarchs, Sarah, Rebecca, Rachel, and Leah. Another way of counting seven, is to recite the Peh verse of the Ashrei prayer, which has seven words – Potech et yadech oo’masberah l’chol chai razon – which means “You open Your hand and Your favor sustains all the living.” The parshiyot, Torah portions, in the tefillah shel yad, the arm tefillin, are written on seven lines. The number seven is associated with holiness – for example, Shabbat is the seventh day; shemittah, sabbatical, the seventh year; yovel, jubilee, arrives after seven shemittah cycles. This is a reflection written in “A Ritual For the First Time a Woman Dons Tefillin,” by Ellen S. Wolintz as a Fourth-Year Rabbinical Student at the Jewish Theological Seminary on December 15, 1997, for a Final Project for a class entitled “Theological Issues in Liturgy” taught by Rabbi Neil Gillman. 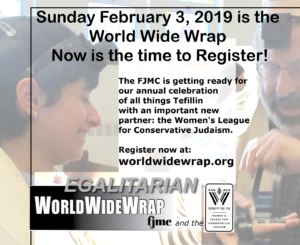 Rabbi Ellen S. Wolintz-Fields, January 27, 2019, has revised the reflection, to apply to any gender, for any time one dons Tefillin. The hope is that people will use this reflection when donning Tefillin, and will find the mitzvah more meaningful by reading it before wrapping. As God puts on Tefillin, and Tefillin gives strength to God, so I put on Tefillin. Tefillin is a reminder of our covenant with God, Tefillin gives us strength. Tefillin is a reminder of God’s selection of Israel to be God’s witnesses of this covenant between God and the people of Israel, both men and women. The Torah, in Deuteronomy, chapter 6, verse 5, teaches us to: “Love the Lord your God with all your heart, with all your soul, and with all your might.” V’ahavta et Adonai elohecha b’chol l’vavcha oo’v’chol nafshecha oo’v’chol m’odecha. I love God with all my might, so today, I show my love for God by placing the arm Tefillin, the tefillah shel yad, opposite the heart, the seat of life. I love God with all my soul, so today, I show my love for God by placing the head Tefillin, the tefillah shel rosh, on my head, near my mind, which I will dedicate to the love of God. I love God with all my might, so today, I show my love for God in a new way, by binding the Tefillin straps around my arm, which is my strength, so that I dedicate all my strength and power to love God. As I bind the Tefillin straps around my arms, seven times, each time I wrap the Tefillin, I recite the names of our Patriarchs and Matriarchs: Abraham, Isaac, Jacob, Sarah, Rebecca, Rachel and Leah, for they began our covenant and bond with God, and I continue it. Love is the basis of the Torah, and our Patriarchs and Matriarchs have taught me to love God, with all my heart, with all my soul, and with all my might. The binding will draw me closer to God, and will strengthen my bond of love with God. The binding of Tefillin forges a spiritual bond with God. Not only is Tefillin a spiritual bond, but it is also a physical bond. Tefillin is a symbol reminding me of my faith in God, and the bond of love between God, and God’s people. Tefillin is my way to show my gratitude to God for all I have received. It is the tradition, that God chose the Jewish people to receive the Torah, so I hope to study Torah each day. As I enter their midst. The yoke of the Torah I take on myself. The Torah of God, my Rock, my Creator. In all the world none is happy as I. Like a fish in a stream. A smell sharp and sweet. Orin Rotman is an International Board Director-at-Large/ Midwest Region liaison and member of the Leadership Development Institute planning committee of the Federation of Jewish Men’s Club (FJMC), as well as a Congregation Beth Judea, Long Grove, IL, FJMC board member. Orin Rotman is also past FJMC chair of the World Wide Wrap. This rap can be viewed at https://www.youtube.com/watch?v=n9NJtJJoVIY. No changes have been made to the text, therefore, God is spelled G-d, and Tefillin is spelled T’fillin. and I’ll teach you how to DO IT HEY! even though they TICKLE HEY! a WAY to see through it. THAT’S the way they FACE HEY! G-D’s name ‘SHADDAI’ is solid HEY! And DOIN’ the T’FILLIN Wrap! Rabbi Barmash’s teshuvah was both retrospective and prospective. “It is breathtaking to see the vast advances in the participation of women in the Conservative movement in the past century, especially accelerated in recent decades. Who would have imagined the developments that have occurred since the first declarations and decisions of the Committee on Jewish Law and Standards on the role of women in 1955? At the same time, we must take a prospective view toward the future: how do we envision the spiritual life of the communities we are aspiring to build and nurture? Egalitarianism, the equality of women in the observance of mitzvot, is not just about the participation of women: it is about fostering the fulfillment of mitzvot by all Jews…What women could not do was to be involved in public ritual acts and fulfill mitzvot on behalf of men. This impediment was due to their subordinate social status. The role of women in public life has changed dramatically in modernity. In society in general, women are now involved in commerce and the professions on an equal basis with men, and secular law considers women legally free and independent. In Jewish communities, women have been seeking to enrich their lives with more mitzvot. The changes in women’s social lives in general and in Jewish communities are not just a matter of external behavior, but reflect a changed perception of women. Women are now seen as equal to men in social status, in intellectual ability, and in political and legal rights. The historical circumstances in which women were exempted from certain mitzvot are no longer operative, and we must embrace the realities of life in the 21st century. The principle of “times have changed” has been used in halakhic analysis to make dramatic alterations in tradition. When social customs change significantly, the changed social reality requires a reappraisal of halakhah. The change in the social status of women calls for a new determination of women’s responsibility for mitzvot and participation in public ritual acts. The Conservative movement has been in the process of making a new determination for many decades. In Conservative synagogues, schools, and camps, women have been taught to observe mitzvot from which they have been traditionally exempted, and have been educated to participate in public ritual observance. The Committee on Jewish Law and Standards therefore rules that women are now held equally responsible for the mitzvot as men have been. Women are responsible for the mitzvot of reciting the Shema and the Shemoneh Esreh, wearing tzitzit and donning Tefillin, residing in a sukkah, taking up the lulav, hearing the shofar, counting the omer, and studying Torah. When you lay Tefillin in the morning, you may want to take a moment and meditate on the presence of the angels, the heavenly messengers, and the SHECHINAH. Sit comfortably with your eyes closed and imagine a presence touching your Open Arm. This is the Angel Michael, drawing you closer to God. Your consciousness rises to a higher level, as you become more aware of every heartbeat, every songbird outside your window, and you feel a sense of oneness with the universe. Slowly shift your attention to your Bound Arm. Feel the straps pressing tightly around it – you are bound within them. This binding is not restrictive but liberating, like a loving couple bound in mutual love and respect to one another. Do you remember a wedding where you were bound up within the couples love? Taste that feeling, transfer it to your love of the God of creation. The Angel Gabriel will guide you on this path. Before you, the Angel Uriel, directs your Vision. Imagine the BAYIT on your forehead as your Third Eye. Uriel allows you to visualize the future, perhaps a glimpse of the Messiah. Let yourself believe the world is not an endless cycle, but a continuously evolving organism constantly perfecting itself, becoming not only the image of God, it is God. Feel the place where the knotted straps at the base of your skull where it joins the spine. Experience the Angel Raphael radiating healing down the back of your neck, across your shoulders, down across your chest, past your internal organs and into the seat of your NEFESH, which is the soul’s link to the physical world. Feel the healing power of God radiate throughout your body, your heart, and your soul. All around you, the lovely feminine presence of the SHECHINAH – God’s bride and feminine self – surrounds you in love. This is God’s love, expressed in a way we can taste, smell, touch – the love between two people; friends, family, children, our life. God’s love radiates the love in our hearts into the world. We can sense ourselves being aligned: the mind, the heart and the NEFESH – a straight vertical line reaching toward the heavens. Breathe deeply with a cleansing breath. You can ask Rabbi Ellen S. Wolintz-Fields at ewolintz-fields@wlcj.org. Thanks!